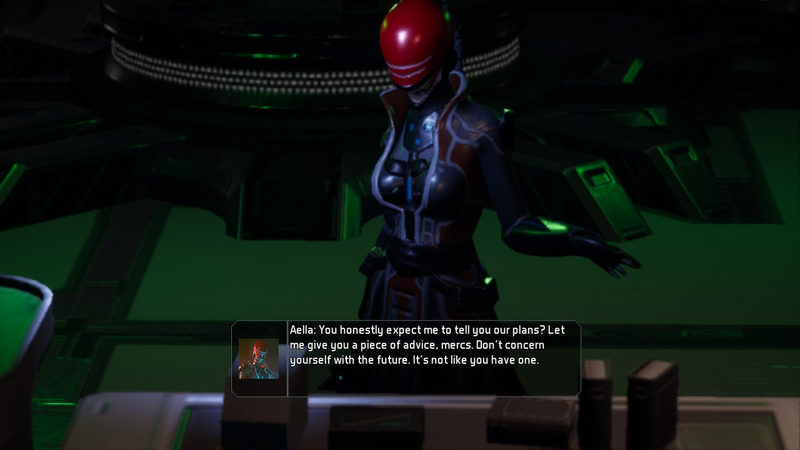 CIRCLE Entertainment has revealed that its upcoming action shooter Solstice Chronicles: MIA will be firing onto Switch early next month. 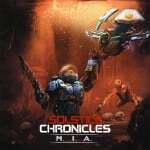 Developed by Ironward, Solstice Chronicles: MIA is a sci-fi action shooter that features "smart mechanics and skills" which aim to give you multiple ways of tackling the game's challenges. It takes place in a dead colony on Mars, where a corporate marine has been left far behind enemy lines. With the unlikely help of an insurgent drone, this marine faces a battle for survival against an army of murderous, mindless mutants and more. - Fluid and exciting twin-stick combat against fiendish foes on Mars. - Key tactical decisions to be made with your accompanying drone. - A variety of weapons, each with fantastic effects for killing enemies. 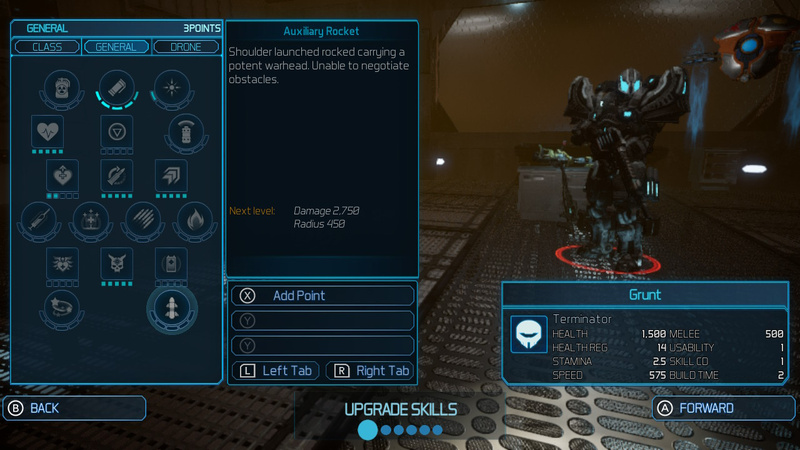 - Develop your skills in Assault, Demolition, Hellfire or Terminator classes – find the style that suits you best! - Re-designed for Nintendo Switch, including local co-op to share the battle! As noted in the feature list above, you'll be able to team up with a friend in local co-op in both the Story and Survival modes; players can use just one Joy-Con each when out and about. 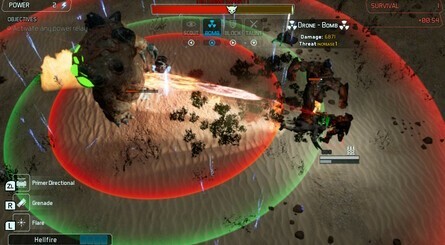 The story mode is set to contain 20 levels of "intense action and entertaining cutscenes", while Survival has you battling wave after wave of enemies. The game will launch on 7th February for $14.99 / €14,99 / £13.69. A 10% launch discount price (so that's $13.49 / €13,49 / £12.32) will be available during its first week on sale. Do you like what you see in the trailer? Will you be giving this one a go when it launches next month? Let us know in the comments below. Cool, Circle has a pretty good track record imo. Looks interesting! I'll wait for reviews first though. This didn't do very well in Steam reviews and it looks like the Switch port isn't going to be any different. No thanks. Is this by the same people that made all those other games that look like this?? @Racthet916 Steam reviews? That place where people buy game for cents and barely play them? @YANDMAN You're thinking 10tons studios, these are different folks. That said... I'm a little tired of twin-stick shooters on switch now. X-Morph holds a little intrigue just because of the tactics/tower defense aspects... but this looks stock. The trailer made it look like a mobile game . @Tirza That's the place! That doesn't mean there aren't people on there who have actually posted thoughtful reviews, though. Just have a look at the hours of gameplay any reviewer has logged in the game, that will give you an idea if someone is giving it a fair shake or not. When I'm reading negative reviews from people who have logged 10, 15, 25 hours or more game time, I tend to trust their intent. Apparently this came out on PC in 2017. Who knew. @aznable I love twin-stick shooters but the reviews on this one are SUPER "meh". It sounds like ammo is a constant issue and that's something I hate in games like this. I wanna shoot crap, not stress about ammo drops (probably why I have over 300 hours on NeuroVoider). I was interested in this one when I first heard about it last year but after more of an info-dive I think I'll be passing. Plus, I'll be snagging X-Morph as soon as it drops as that looks to be absolutely awesome. Another twin-stick? 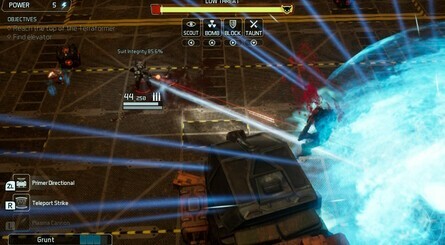 Is it too much to ask for some more FPS or TPS on Switch? How do you end up with a title like that for a top-down shooter? More importantly, are we chronicling the disappearance of the summer solstice or the winter solstice? There seem to be an abundance of games on the Switch with the top down, isometric point of view. Unfortunately for my case, I really don't like that perspective. @aznable Ahh o.k are those the guys that did Judge and neon chrome? 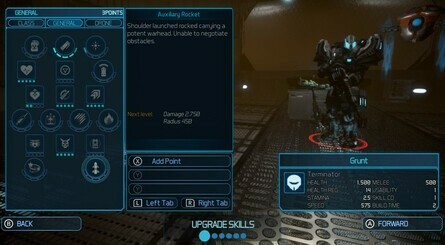 As this lokks just like another re-skinned version of their engine. Twin stick shooters can be really fun, but when you use the same graphics are very similar charactyers over and over it becomes very tedious.